The University Hospitals Leuven (UZ Leuven) in 2018: an organisation with more than 9,000 employees and annually 57,500 admitted patients, 70,100 consultations and 56,600 surgical procedures. UZ Leuven is the largest Belgian hospital and is known as a leading international medical centre and strives for high-technology and human patient care. Safety and quality always come first, as indicated by the international JCI accreditation. UZ Leuven was the first Belgian hospital to be awarded this accreditation in 2010. Thanks to its (inter)national reputation, patients with the most complex conditions from Belgium and abroad come to UZ Leuven. The Leuven transplant centre e.g. is a prominent centre with survival rates that are among the highest in the world. It is also renowned worldwide for foetal surgery, endometriosis procedures and hereditary diseases. Currently UZ Leuven is working on a proton therapy centre, an innovative form of radiotherapy that targets tumours with more precision and spares surrounding tissue. UZ Leuven has made the firm choice to go for innovation in terms of patient care and research. 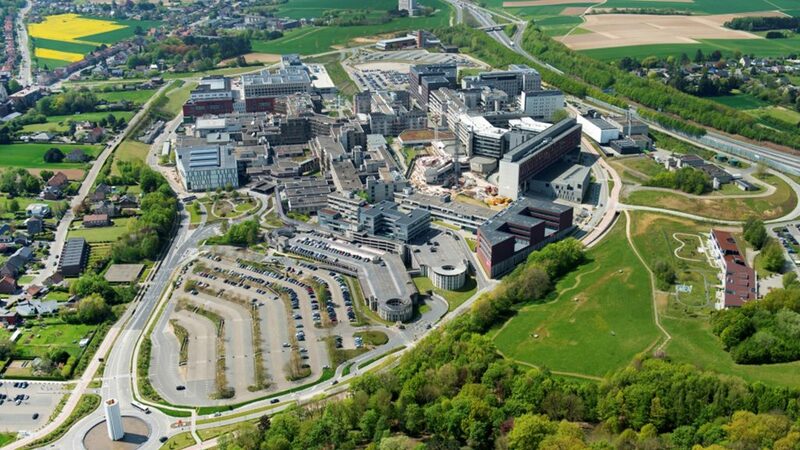 Hospital physicians and university researchers work within walking distance from one another on the Health Sciences campus Gasthuisberg. Researchers tests their findings in the hospitals’ labs and physicians count on substantiated scientific support in their search for the best possible treatment for patients. Students of the KU Leuven also receive their training at UZ Leuven. They learn first-hand from physicians and specialists teaching from experience. The combination of clinical care, research and education in a single location creates an inspiring interaction that, ultimately, always has one goal in mind: better patient care.